Editor's note: Lisa Davis is Vice President for Information Services and CIO at Georgetown University, and former assistant director for information technology for the U.S. Marshals Service. 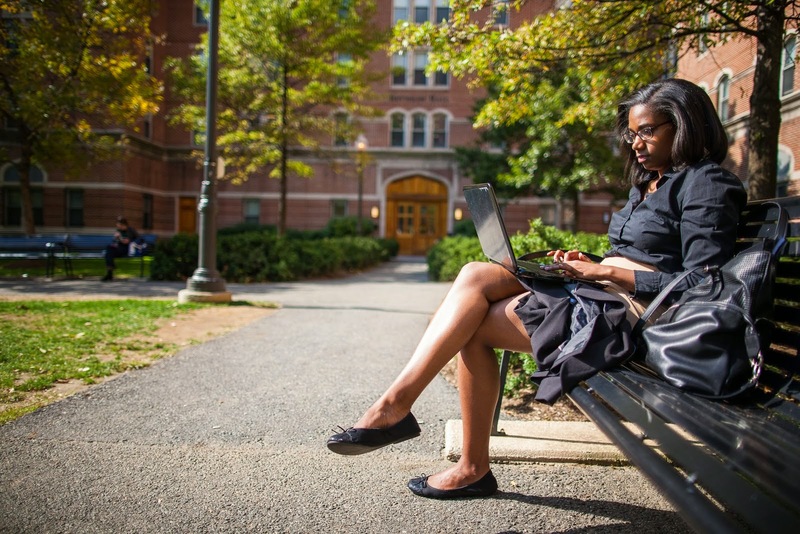 She shares why the Georgetown Hoyas have gone Google using tools like Gmail, Docs and Drive for Education. Learn more about solutions for Higher Ed here. There’s a reason “We are Georgetown” is emblazoned across our football field and even the Hoya food court: we take great pride in our identity as Hoyas, enriched by our diverse backgrounds, faiths and beliefs. Rooted in 225 years of history, Georgetown University makes a point of fostering an environment that supports ongoing innovation, open dialogue and intellectual inquiry in our teaching, learning and research. Three years ago, we kicked off our five-year technology transformation strategy by moving our 20,000 students, staff and faculty members to Google Apps for Education. We saw an opportunity to pull our disparate IT systems into a unified suite and no on-premise solution could match Google Apps in collaborative features, storage, ease or cost-effectiveness. We also found that Google’s philosophy meshed well with our own cloud-first transformation strategy — anytime, any device collaboration and access for a seamless Georgetown experience, anywhere. Since going Google, we’ve saved $120,000 per year on licensing costs. More importantly, we’ve created a connected learning environment that bridges the traditional and online classrooms. Professors hold office hours on Google Hangouts, classmates frequently collaborate on group projects with Google Drive, and busy students work better together on extracurricular projects using Google Calendar, Forms, Sheets and Docs. The Corp, Georgetown’s student-run corporation and the largest student-run nonprofit, was one of the first organizations on campus to use Apps for coordinating schedules on the fly and planning events without in-person meetings. Now, student clubs and activities ranging from a capella groups to intramural sports teams use Apps to quickly and easily work together and communicate from any device. Google Drive helps our faculty streamline communication with their students in and out of the classroom. Arnie Miles, a computer science adjunct faculty, runs his class on Drive. Each student adds the Drive app to his or her computer and shares a folder with the teaching assistant. Through Drive, TAs can collect and grade assignments, and provide step-by-step help from anywhere. Google Apps has also allowed the university to deliver on the promise of “once a Hoya, always a Hoya” by extending Google accounts to all alumni for life. When students graduate, they keep their email addresses, calendars and all files stored in Drive, which now boasts unlimited storage. Going Google played a critical role in our technology transformation strategy by enabling collaboration and information sharing across devices and helping us invest in a long-term vision for learning in the 21st century and beyond. We've come a long way in our journey, and look forward to continuing to enable innovation and intellectual inquiry at Georgetown through technology. To learn more about Georgetown and how they’re using Drive and other Google for Education tools, join our webinar on November 13 at 12pm PST.